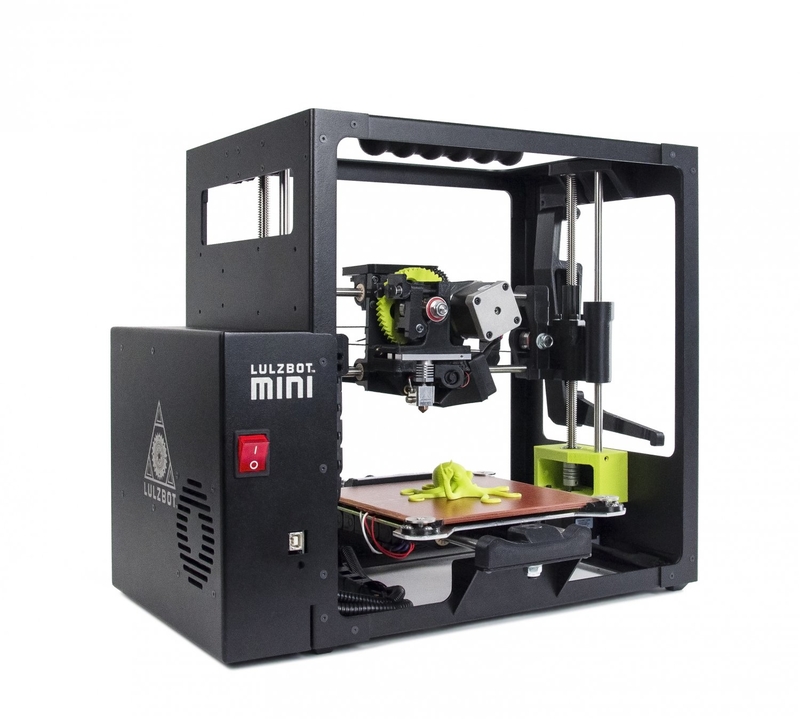 The Lulzbot Mini is an open-source cartesian 3D printer. It uses fused deposition modeling to build up three-dimensional objects by injecting thin layers of melted plastic. The build area is 152 mm x 152 mm x 152 mm.